The Neiman Marcus Christmas book is a Style Snatcher favorite, simply because it always, always manages to top itself. No matter how outré, how outrageous, it was the year before, there is always something--or more than one thing-- so fabulously outlandish that it makes you cry abundant tears of joy and thanksgiving. Sears Wishbook this isn't, my spendy little elves. Try tying this one up for size and sticking it under the tree. 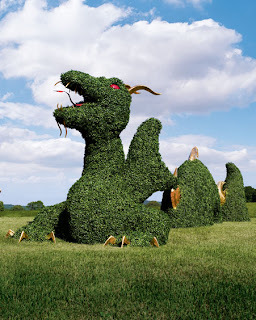 It's a dragon topiary designed by Matthew Larkin, topiary designer extraordinaire. (We think it looks more like the Loch Ness Monster, but who's asking?) This living, breathing yard beast is a whopping 100 feet long. And here's the really swanky part: They build it on site, using indigenous plants. That's right, they whip it up out of your local hedges, so Bar Harbor's dragon will look different from the dragon of Bel Air. 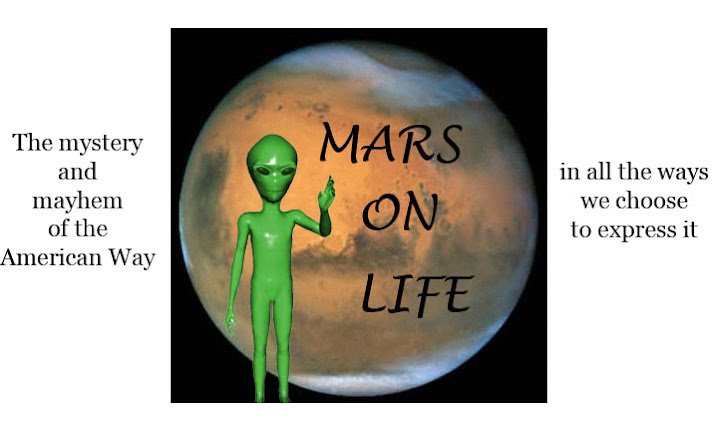 Who said it ain't easy being green? Do people even have this much land any more? We thought that went out with McMansions, so it's nice to see that some people have come to their senses. If this isn't the ultimate $35,000.00 holiday happening, I don't know what is. It has left even the Style Snatcher speechless, a rare and disturbing occurrence. Your lawn man will demand a hefty raise and extra worker's comp, the neighbors will say your dragon is blocking their view, and we haven't even gotten to the gold-leaf horns, claws, teeth, and fins. The only thing that could possibly spoil the unimpeachable beauty of this creature is...drought.